One month until one of my absolute favorite holidays, whee! 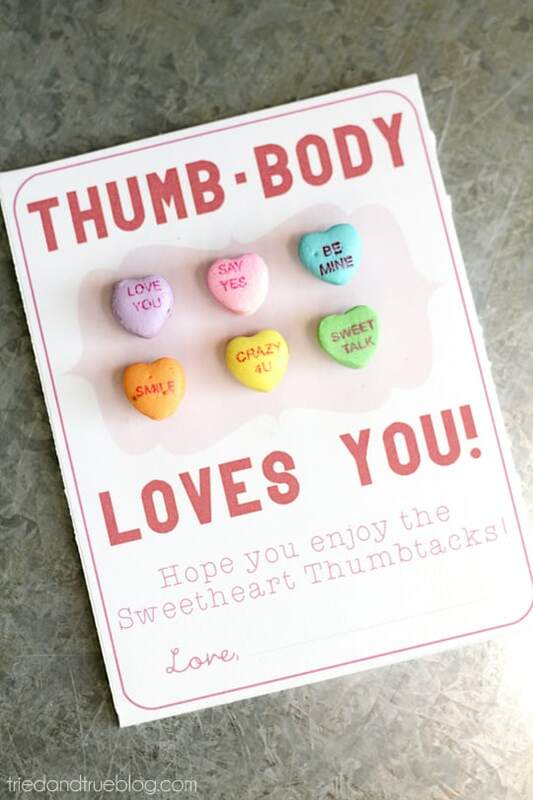 I whipped up these “Thumb-body Loves You!” Valentines as part of a Share the Love blog hop hosted by the ever lovely, Jamie of C.R.A.F.T. So if you’re jumping over here from DIY Show Off, “hello” and make your self at home! As much as I love Valentine’s Day, I really really REALLY dislike conversation hearts. Blech. I’m not entirely opposed to sugar but if I’m going to eat those empty calories, it better taste good! 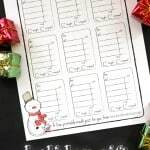 They are super cute though and when paired with thumbtacks, make a great little gift you can give an office pal or teacher. 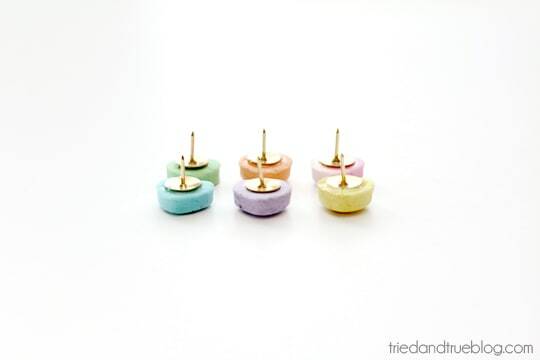 Who doesn’t need more cute thumbtacks in their life?! Making these is super easy and cheap, almost all the supplies were found at my nearby Dollar Tree. The hardest part is probably finding six conversation hearts perfect enough for the thumbtacks. Luckily, The Dollar Tree had four packs of sweethearts for a dollar! All you have to do is brush on a few layers of Mod Podge (or use a spray sealant) to protect the candy and then just superglue thumbtacks to the back. Easy peasy. 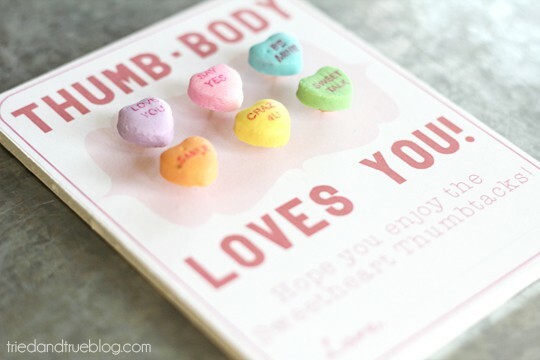 Now, hop on over to Lindsay over at Makely Home for her super cute “You Blow Me Away” valentines! 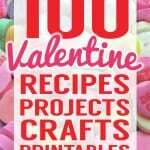 Visit all these amazing blogs for even more Valentine’s Day printables! Check out more fabulous pink ideas over at Pink Heels Pink Truck! I'm with you on not liking/eating the conversation hearts -- but they are cute! 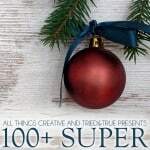 Such a fun idea creating a thumbtack :) Super excited to be a part of the "Share the Love" blog hop with you. Hugs. Right? 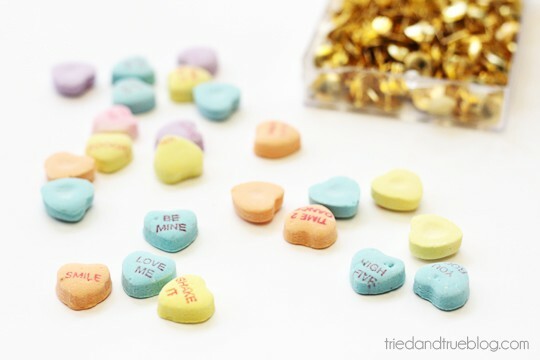 Conversation Hearts are so much better to craft with! So awesome! 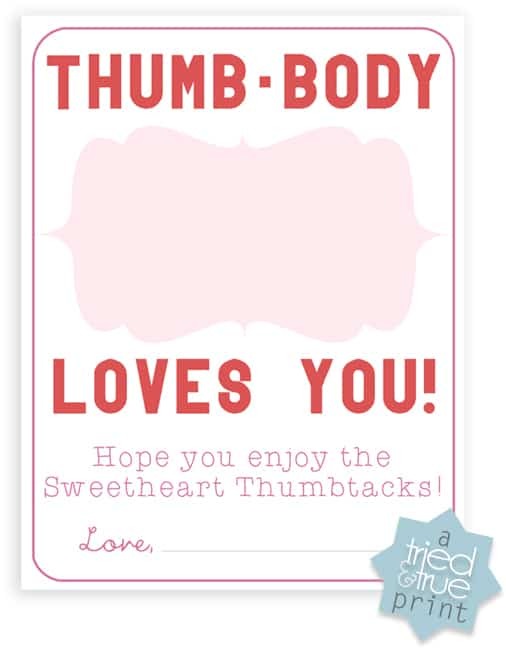 Love punny Valentines - the cheesier the better. these are completely adorable! 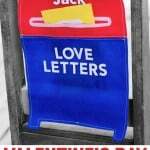 i can think of several people who might find a set in their mailboxes come valentines day!